If you want to get One Grip Higher… go rock climbing! The title of this blog comes from sport of rock climbing as a metaphor for life and the pursuit of excellence. The struggle, challenge, exhilaration and excitement of climbing parallels the emotions we experience of life. 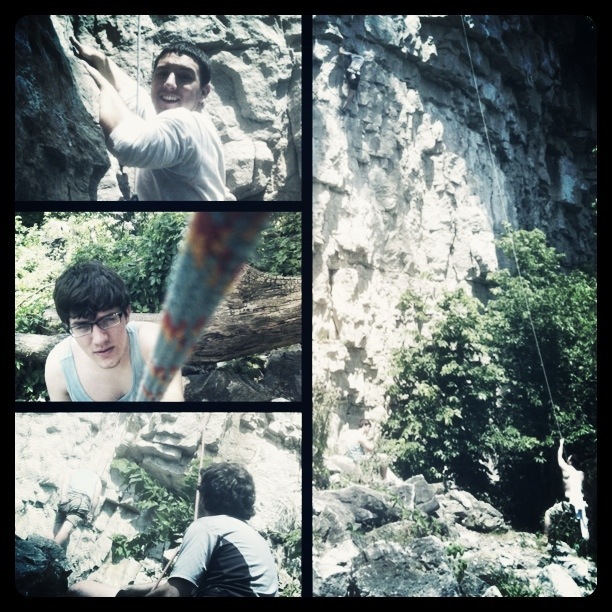 Yesterday, I was climbing at Rattlesnake Point in southern Ontario with a few buddies. It had been several months since the last time I climbed out doors and my body was not in the best condition. Half way up the cliff, my legs began to shake as the energy drained out of my body. I was holding onto a very small piece or granite with my right hand and was searching for a hold with my left. I couldn’t find anything decent to grab. My finger muscles began to ache, and the skin on my finger tips began to burn. After a few minutes my muscles hit the point of failure and I fell off the cliff. Fortunately my buddy Garret was holding my rope and I only fell a few feet. A few moments later I climbed back to the same point and found a handhold I had missed earlier. My fingers were sore, but I managed to climb past that point. How often in life do we hold on so tightly to our dreams and ambitious that we essentially hit the point of complete failure? If we never fail, we aren’t trying anything challenging enough. But the real question is what happens after we fail. Do we try again? And again? And again? Do we try until we get past the point of failure and further on our journey towards excellence. If we do… We are sure to accomplish great things. Like a weight lifter pushing his muscles to a point of failure over and over again and a climber holding on until he falls… We must pursue failure and push through if we want to get One Grip Higher!